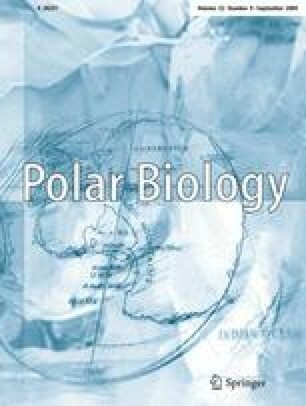 State III respiration rates were measured in mitochondria isolated from hearts of Antarctic notothenioid fishes that differ in the expression of hemoglobin (Hb) and myoglobin (Mb). Respiration rates were measured at temperatures between 2 and 40°C in Gobionotothen gibberifrons (+Hb/+Mb), Chaenocephalus aceratus (–Hb/–Mb) and Chionodraco rastrospinosus (–Hb/+Mb). Blood osmolarity was measured in all three species and physiological buffers prepared for isolating mitochondria and measuring respiration rates. Respiration rates were higher in mitochondria from G. gibberifrons compared to those from C. aceratus at 2°C, but were similar among all species at temperatures between 10 and 26°C. Respiration rates were significantly lower in icefishes at 35 and 40°C compared to G. gibberifrons. The respiratory control ratio of isolated mitochondria was lower in C. aceratus compared to G. gibberifrons at all temperatures below 35°C. At 35 and 40°C, mitochondria were uncoupled in all species. The Arrhenius break temperature of state III respiration was similar among all three species (30.5 ± 0.9°C) and higher than values previously reported for Antarctic notothenioids, likely due to the higher osmolarity of buffers used in this study. These results suggest that differences in mitochondrial structure, correlated with the expression of oxygen-binding proteins, minimally impact mitochondrial function. We gratefully acknowledge the assistance of Dr. Bruce Sidell, who first pointed out to us the importance of considering blood osmolarity when working with isolated mitochondria. We also appreciate his insightful comments during the preparation of this manuscript. We would also like to thank the Master’s and crew of the ARSV Laurence M. Gould and the Raytheon Polar Services staff at the US Antarctic Research Station, Palmer Station for their outstanding assistance in the field. Support for this research was provided by a grant to K. O. from the Antarctic Organisms and Ecosystems Program in the Antarctic Sciences Division of the National Science Foundation (ANT 04-38778).